Each of our homes is custom designed to meet our clients' unique style, to compliment the building site they have chosen and to fit within their budget. 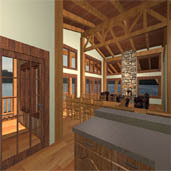 We offer a talented design team supported by our experience and proven design ideas in log construction. 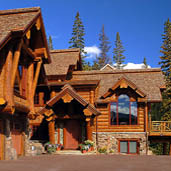 Creativity and practical design layout make for a perfect combination of ideas culminating in a cost effective, beautifully handcrafted log home. Engineers that specialize in log and timber construction support us so you will not be charged for over-engineering or the inexperience of those not familiar with wood structures. 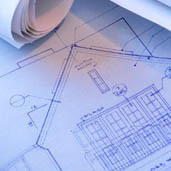 Many people find it difficult to visualize their home from a blueprint. Our 3-D renderding and virtual walkthroughs pull the design off the page and into 3-D so that you can really experience it. You'll get an accurate view of how the building flows from one room to the next, the ceiling heights, window dimensions, roof structure, etc. to best help you with all your design decisions. Shop drawings are available on request in addition to regular design work. We work directly with you, your architect or designer, and your general contractor to create a home specific to your needs offering dependable and ongoing construction consultation.